Yup! Beans and rice again! There are just so many possibilities to feed my family of six for near to nothing. When this package of red beans and rice mix caught my eye, I just had to give it a try. 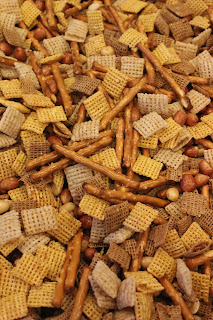 Not that I was looking for a great new go-to option, but I just couldn’t believe that a pre-packaged mix could come anywhere close to being as economical or tasty as my homemade version. The consensus? I was right. Not one of us was impressed or even liked the red beans and rice from the mix. I didn’t make the kids eat it---and that rarely happens in our house. And the leftovers? Most of them got tossed. I added some leftover ham. The following week, I made my own version of red beans and rice. There are two ways that I make this dish. The first, that I’m sharing today, is very simple and frugal. The second way I make red beans and rice, isn’t as near-to-nothing because it uses some pricey meat. I will definitely have to share that one in the future. Ideally, I would use one red pepper and one green pepper. When I made this to take pictures, I used two red because they were on sale. I was also out of onions, so I just did without. The recipe includes hot sauce as optional. I usually don’t put any in the pot because of the kids, but Robbie and I add it to our individual bowls. If you do not include the hot sauce, you may want to add a little more salt. Of course, when I make red beans and rice, I end up with a ton. We ate them for dinner, froze some for another dinner, and refrigerated some for lunch. Dice peppers and onion. Heat oil in large Dutch oven or stock pot. Add peppers and onion to oil; sauté until soft and onions are slightly translucent. Add all remaining ingredients. Bring to boil; cover, reduce heat, and simmer until rice is done, about 40 minutes, stirring occasionally. When rice is done, leave at a simmer and use immersion blender or back of spoon to smash some of the beans until desired consistency is reached, adding water as necessary. because my immersion blender died. Soup will continue to thicken a bit as it sits. Adjust seasonings as desired. Yield: lots! (probably about 4 qts.) Total cost without meat: less than $6. It even just looks better than the packaged version. I mentioned that we were on vacation with my husband's family and posted a picture of all the food it takes to feed 24 people. Well, you better believe we had some amazing food while we were there! 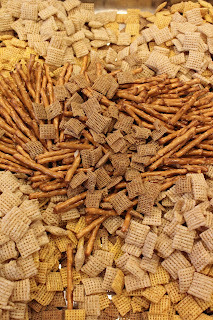 My husband's family has a tradition of making Chex Mix every Christmas. 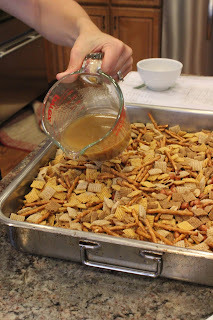 While I realize it wasn't Christmas, we still had the Chex Mix while on vacation, so I decided to share the recipe with you! 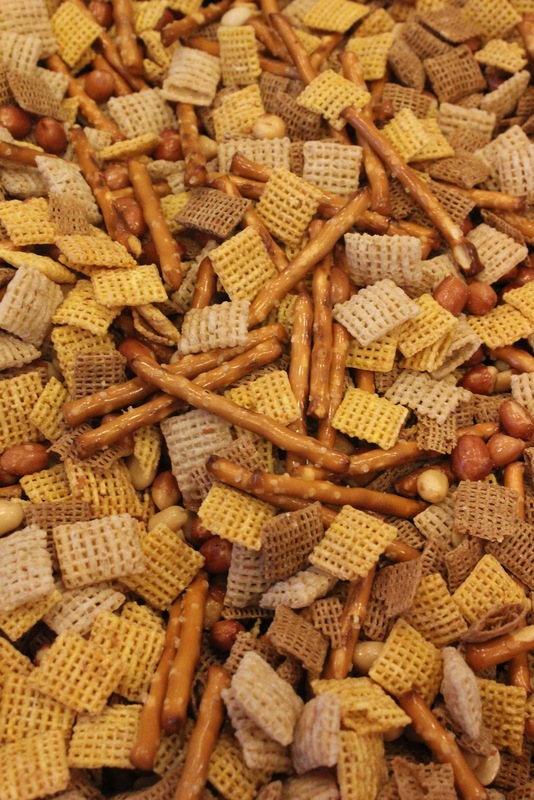 Combine cereal, pretzel sticks, and peanuts in a large roasting pan. In a separate bowl, melt the bacon grease and butter. Add worcestershire and Tabasco to butter mixture; pour over cereal mixture and toss to coat. In a small mixing bowl, combine seasoned salt, celery salt, garlic salt and savory or poultry seasoning. 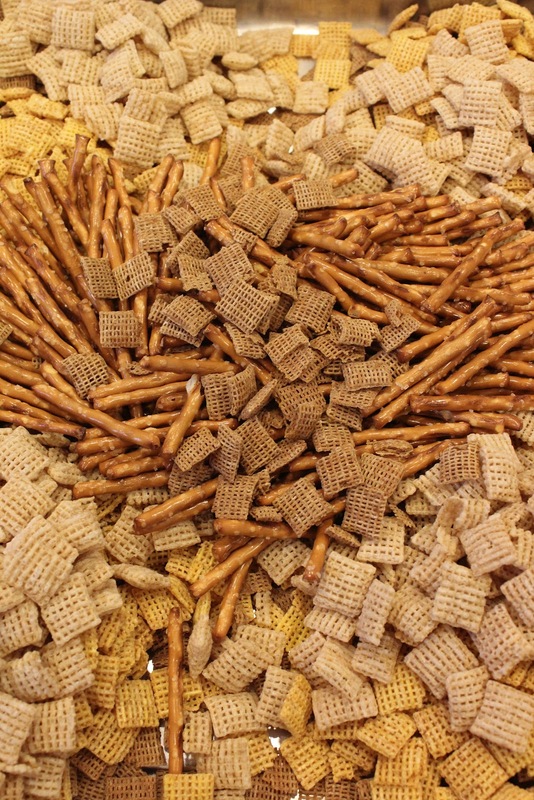 Sprinkle over cereal mixture; tossing to make sure the Chex mix is evenly coated. This picture was taken before it was baked. Sadly, I didn't get a picture of the finished product, but it looks pretty similar to this. A few weeks ago, we went for a play date with one of the boys’ preschool friends. When we left, they sent us with a bag of green beans from their garden! Yay! I love summer produce! Out of all the ways I could have prepared them, I chose to sauté them. I think this is the easiest and tastiest way to cook most vegetables. In my experience with my kids and with other kids, they tend to like veggies more when they are sautéed than when they are prepared other ways. I sauté green beans just like I sauté other vegetables, except I like to add sliced almonds. The nutty flavor goes great with the beans, and they add great texture. If the beans are long, I snap them each in two or three pieces to help them cook more evenly. Try to have the beans as dry as possible before adding them to the pan to prevent spattering. Heat skillet over medium-high heat. Add oil. When oil is hot, add green beans. Sauté, tossing occasionally until almost done. Add slivered almonds; continue to sauté until beans are done and almonds are toasted and golden. Remove from heat. Season to taste with salt and pepper.